The birthplace of Khandro Yeshe Tsogyal is known as Tsogyal Lhatso. In the 8th century, Yeshe Tsogyal was born there. Local people said that at her birth, a lake expanded in size and there was a sandalwood tree growing near the lake. The lake later has become a visionary lake and both the lake and the tree are called natural forces which sustain the spirit of Yeshe Tsogyal. Meanwhile there are also two springs flowing with Yeshe Tsogyal’s secret breast milk and there are white flowers growing on the bank even in winter time. 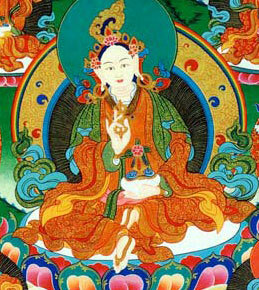 Yeshe Tsogyal is known as the Mother of Tibetan Buddhism and a female founder of Nyingma tradition. As a main disciple and consort of Guru Rinpoche, Padmasambhava, Yeshe Tsogyal has devoted a great deal to the transmission of terma from Padmasambhava and erected a good example of female saint in Tibetan Buddhism. Today there are about 14 nuns in a community who continue Yeshe Tsogyal’s instruction and maintain the scared place. Many Nyingma pilgrims come to Tsogyal Lhatso for being encouraged by the spirit of Yeshe Tsogyal. There are also some activities to memorize and pass on Tsogyal’s enlightenment and contribution to next generations. 1. You can make some donation to local nuns in the community in order to support their maintaining efforts of the place. 2.It is a good place to study the Nyingma tradition and know some stories about the female saint of Tibetan Buddhism.